Inspired by the lyrics from Wish You Were Here by Pink Floyd - "We're just two lost souls swimming in a fishbowl"
Really artistic idea and I like your execution. Did you do the painting too? @taffy Taffy no painting, just photos, blended together in Photoshop. 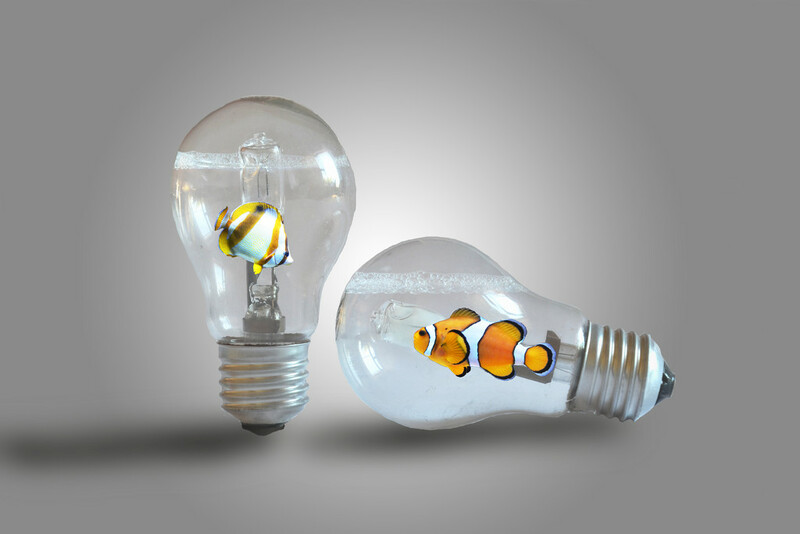 The photos of the light bulbs and the bubbly water ware taken today and the fishes were photographed January last year. Excellent processing. I love it. dang! i had his idea in mind i just didn't know how to execute it, where to start. hahaha! aces on this, my friend! aces! I love Pink Floyd... beautifully done. I see you have been having fun again! Love it, very creative. fav. Very clever indeed, and so well executed. Fav. A wonderful song, that has a lot of special meaning to me. I love this image. You have blended the photos so well. Fave. I'm taking a short break from uploading - photo mojo still stuck behind the fridge. Loved this when I saw it earlier! And perfect for the song title challenge. Excellent processing. What a great creative idea. Favourite for me to think about and may try sonething like this myself! Your processing skills continue to amaze me! aces on top 20, my friend. so proud of you! Oh my - awesome work! Congratulations Sally on your beautiful image making the Top Twenty! Very deserving! FAV! Congratulations on. Top Twenty. Well deserved.